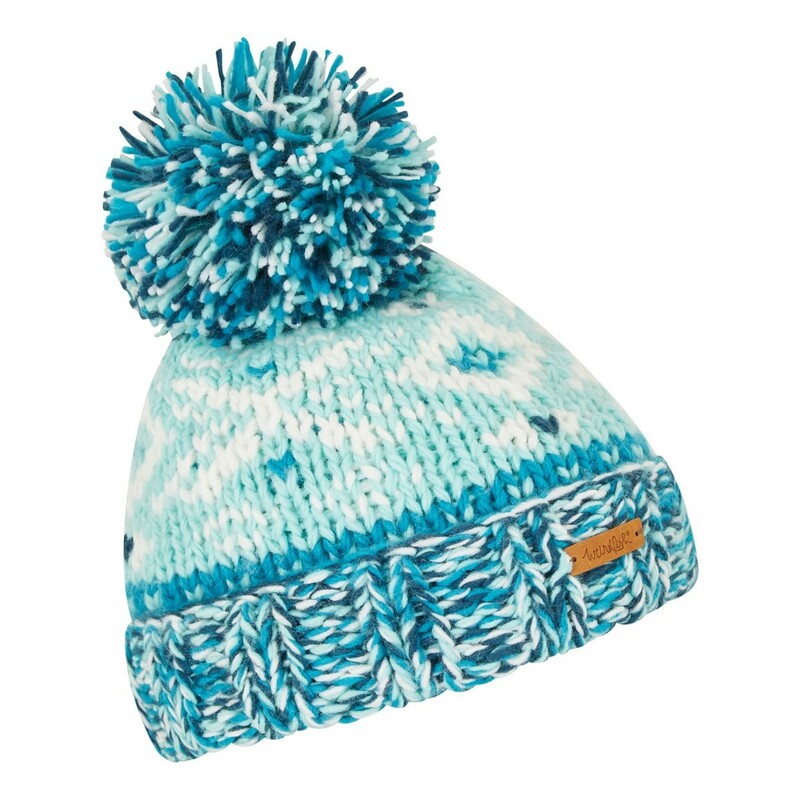 When the temperatures drop, finish your outfit with our Ellen Fair Isle bobble hat for a warm, quirky and hand made accessory that is both practical and stylish. 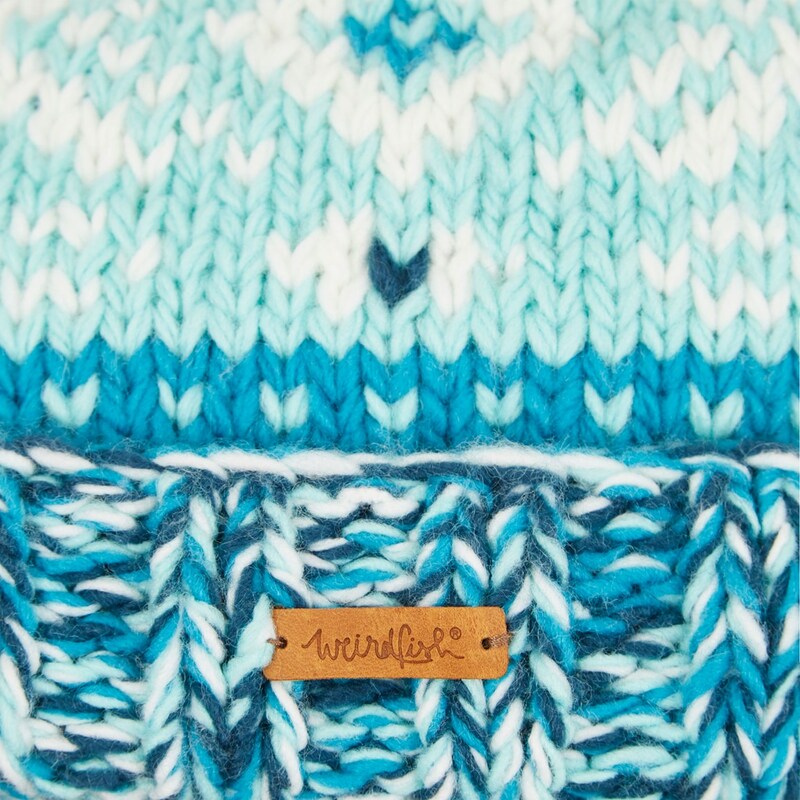 Our stylish acrylic bobble hat features a fancy Fair Isle pattern composed of a variety of contemporary colours. 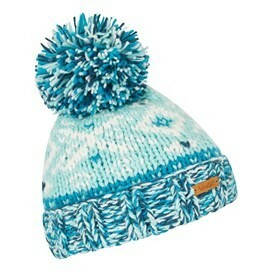 Available in Aqua Marine and Dark Navy the Ellen features a small leather Weird Fish badge on the ribbed band and a large bobble. Why not match with out Callie Fair Isle scarf in the same colour and featuring the same funky Fair Isle stitch detail. Excellent fit. Very warm and cosy. Lovely hat. But it's a bit small and it's climbing up when I am wearing it. Was actually a bit small....purchased for me but fits my 4 year old daughter. Her bobble hat I purchased from the girls range is actually bigger and fits me! So I guess we’ll do a swap....nice hat though.